For generations in India, having a kitchen-garden was integral to a complete home, where freshness and nutrition from a variety of vegetables were given significance and the words ‘pesticides’ and ‘chemical fertilizer’ were unheard of. There was no concept of wastage because everything was re-used in some form or the other. Natural resources were respected and utilized responsibly so as to preserve them for future generations – that was the prevalent culture! This forgotten and neglected way of life in urban spaces needs to be revived. Why do urbanites have to grow organic food for consumption? Due to migration of people to urban areas, fertile agricultural land has been converted into houses and other infrastructures thus reducing the land for cultivation. But there is a movement around the world today to transform this barren city-scape into a green and valuable contributor to health and ecological balance. Estimates show that as many as 20 million people are engaged in urban agriculture all over the world. Half of Latin American cities, 72% of urban - house holds in Russia and 14 largest cities in China produce 85% of the vegetables not only from terraces but also on empty sites, unbuilt areas, parks, etc. In this age of pesticide-driven agriculture most of the vegetables and fruits available in the market seem to add to human diseases and ill-health. But they are packaged well and look good on the shelf. How can we then be sure if we and our children are eating pure and fresh foods? The best way to grow our own organic vegetables and greens. What do we believe in - chemical fertilizers and pesticides, decorative plants and imported grass which yield neither flower nor fruit - or do we believe in safe, flavourful, native, nutritious produce for our kitchens? It is for us to choose and learn a meaningful way of spending some of our leisure time. This workshop will help us understand the basic principles of gardening and then apply it to our own context – homes, apartments or terraces. This workshop will focus on the practical aspects, so that we get a first hand experience with earth, soil, compost, nutrients on the field. It will include pest and disease management also. 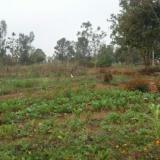 Rajesh Thakkar committed to organic gardening and farming will be the faculty for this workshop. Gardening is a healthy hobby, not only to keep one engaged for a couple of hours in a week but it gives the pleasure of being in the midst of a growing garden. Let’s jointly experience this workshop and start making our own little gardens.